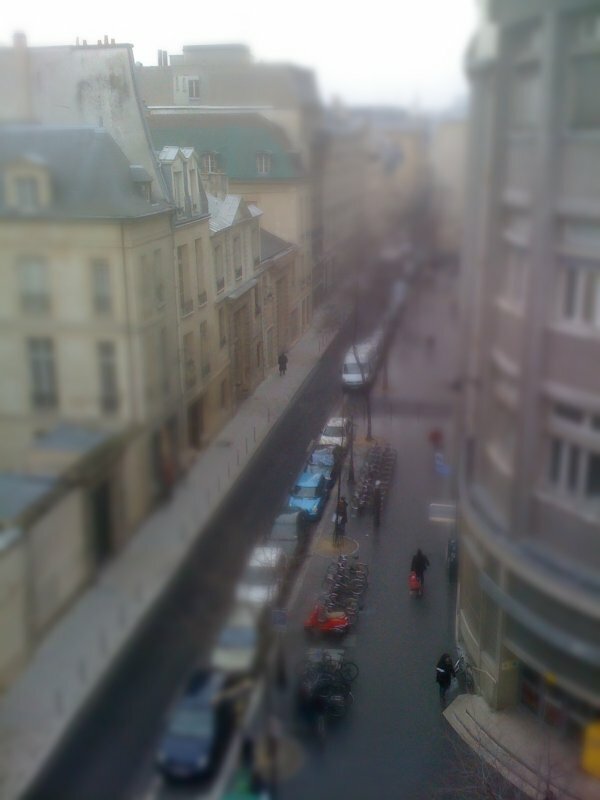 I bought CameraBag, I bought an iPhone case specifically for its macro lens… I just couldn’t skip the fake-tilt-shift application, could I? For those who don’t know, tilt-shift is a pretty complicated, magical lens system (I’m mystified by optics, couldn’t get my head around the equations in high school) that allows you to change the focal plane of your picture so that it isn’t parallel to the camera film/sensor — in other words, you can have several objects, at different distances from the camera, be in focus while the rest of the picture isn’t. 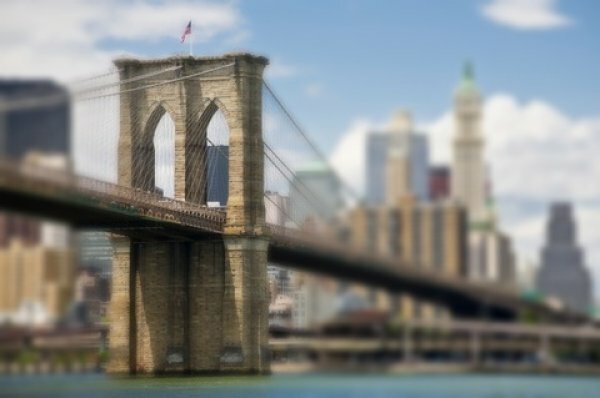 And fake tilt-shift is a very simple (but hard to do right) Photoshop technique that simulates tilt-shift with a simple blur filter and transforms landscapes into miniature models (even though, to be precise, it doesn’t have anything to do with tilt-shift if the part of the picture that’s focused is horizontal). That kind of images has been very popular last year on the internets, with interesting applications to video (thanks to Photoshop Extended, I assume, even though you probably could have done it in After Effects). So, a blur filter — it can’t be very hard to make an iPhone application that applies it to your cameraphone pictures, then, and it’s got to give interesting results, right? The first problem is how the application is developed: while the interface for defining which zone of your image will be in focus (either an ellipse or a straight segment) uses the touch-screen pretty well, the interface for choosing a picture is stupid — you first have to display the list of demo pictures included in the application, then choose to access the camera or photo library (maybe because the developer was well aware you wouldn’t want to use it on your own pictures more than a couple times). And, if you use the camera from within the application, it somehow crops your picture to a square, even though it’s perfectly able to load your photos from the library. How do you sell an app that’s got such a stupid bug? But it’s all moot anyway, for a very simple reason: the iPhone’s camera is crap. The whole point of CameraBag is that it applies downgrading filters that make your photos look better; applying TiltShift to your photo, on the other hand, only emphasizes how bad they are — because most of the picture is blurry, it makes it all the more noticeable that the sharp parts aren’t that sharp, and there’s a lot of pixel noise. 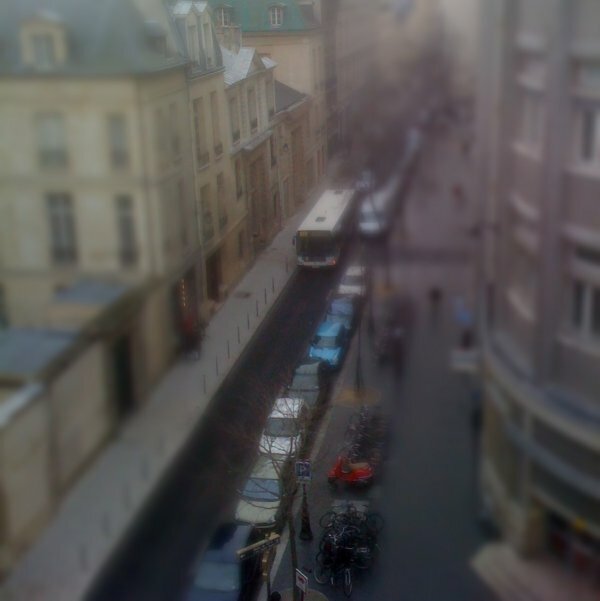 I’d say you could download TiltShift as a novelty if it was free, but it’s not, and it’s definitely not worth the purchase. Maybe it looks better with a very well-lit summer picture, but then I don’t live in the Tropics.